Discussion in 'Article Discussion' started by Tim S, 15 Jan 2009. Exactly what I was thinking haha. As always, a very nice review guys, congratz. I like the Shuttle PCs, you get what you pay for in a very small size. 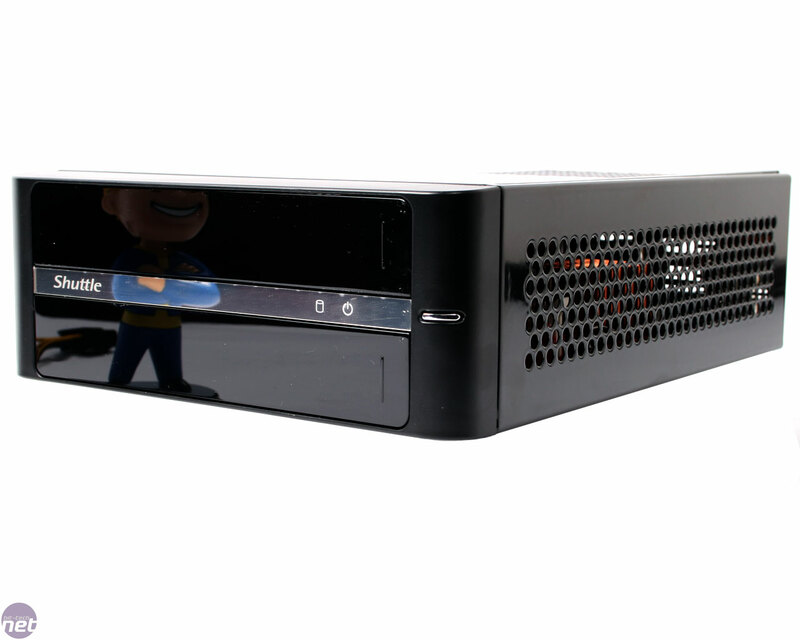 For someone who doesn't want to fiddle with a HTPC some of their bigger options are perfect. This kind of thing would be perfect for my Dad except I really do like the idea of mounting something on the back of a nice 20 inch widescreen. The EeeBox is a lot noisier and restrictive in its hardware options though. WTB an atom mobo with 2/3 NICs for a firewall! You want to try Jetway IPC boards. Aren't those pretty expensive, it's been a while since I looked at embedded firewall apps. Oh is there a mistake on the audio page? One chart has the Gigabyte listed in two columns. Fixed the audio page, thanks. They might be expensive, but you're looking at a very unique motherboard. Either that or buy PCI-E cards and a normal motherboard. Might be interesting for some sort of Car PC implementation. I'll wait for the next rev. Intel945 is poo. I've still got my trusty SN41 G2 running XP in the conservatory. Makes a good little internet 'pooter. BTW, what's with the reflection in this pic? You crazy kids! Think i'll wait for the chipset to mature abit too. On the video an audio encoding page, under the mp3 encoding section, you say, "naturally, the Intel compiler resulted in some performance increases on Intel's processors," but then in the conclusion of the section, you say, "Strangely, both the Intel Atom boards perform better when using the Microsoft optimised compiler of LAME MT and not the Intel one." Should the first sentence say "...should result in some performance increases..."? Other than that, great review, though I'd still go with the AMD setup if I wasn't in a power-restricted environment. I think the 'barebones' factor alone wins pretty big here though. Just plug in a HDD and some RAM?! Sign me up! I'm seriously considering getting one of these.